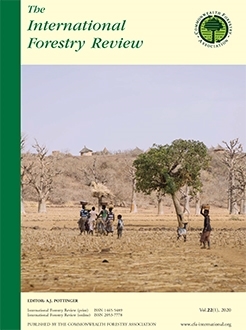 This literature review explores how political, economic and resource management policies and programs can reduce forest degradation and increase the contribution of forest goods and services to sustainable livelihood strategies. In Ethiopia, studies indicate that forest dependency is strong throughout the country, but the importance of forest income varies across different regions and wealth categories. Research suggests that improving forest product market governance is key to strengthening forest livelihood resiliency. Recent experiments with forest governance devolution have shown mixed results in terms of improving forest conditions and livelihoods. Smallholder land certification has met with considerable success, whereas participatory forest management schemes have positive ecological outcomes but fall short in terms of livelihood gains. In South Sudan, civil war has limited the depth and scope of research on dryland forests and livelihoods. Food security analyses indicate that the importance of forest income varies by region and season. Markets are poorly developed and forest governance systems are weak in many parts of the country. 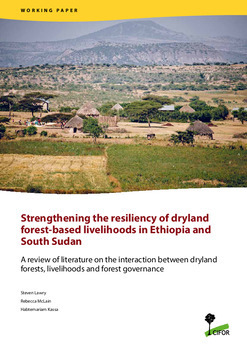 Key threats to forest livelihoods in both countries include: shifting climatic conditions, large-scale population movements, large-scale land acquisitions and weakened governance institutions; and in South Sudan, continuing violent conflict. 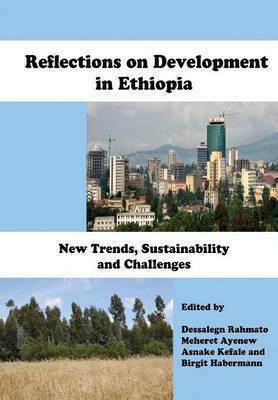 In Ethiopia, research and policy reform should focus on the relationship between forest rights devolution, livelihoods, forest management practices and forest conditions as well as on the impacts of demographic change on forest-based livelihoods, forest management and forest cover. In South Sudan, research should focus on documenting the impacts of conflict on forest-based livelihoods with an view to structuring humanitarian aid programs in ways that mitigate the negative impacts. Authors: Lawry, S.; McLain, R.J.; Kassa, H.